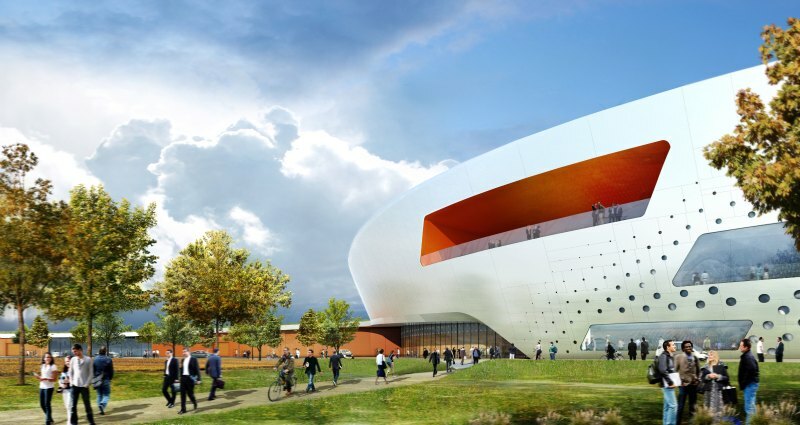 Norwegian architectural firm, Snøhetta, recently unveiled their proposal for a new cyclic particle accelerator, called the “Max IV”, at the Max-Lab to be built in Lund, Sweden. The cylindrical, Möbius strip inspired national laboratory will include state of the art technology able to propel charged particles at high speeds. And apart from being a site dedicated to high-tech research, the form of the building was also developed using a high-tech modeling program focused on minimizing solar gain on the facade. Max-Lab is a joint collaboration between the Swedish Research Council and the Lund University and is located in Lund, Sweden. The new synchrotron or cyclic particle accelerator will replace Max I, II, and III storage rings with state-of-the-art low emittance for the production of soft and hard x-rays. Snøhetta is currently competing against three other firms to design the research facility. The building’s form was inspired by the Möbius strip, but is envisioned as a twisting, dynamic volume rather than just a strip. The geometry and facets of the building were also determined based on functional requirements and detailed studies of the solar gain on the facade. By twisting the facade, the solar gain on the building is reduced by 30%, compared to a regular cylindrical shape. 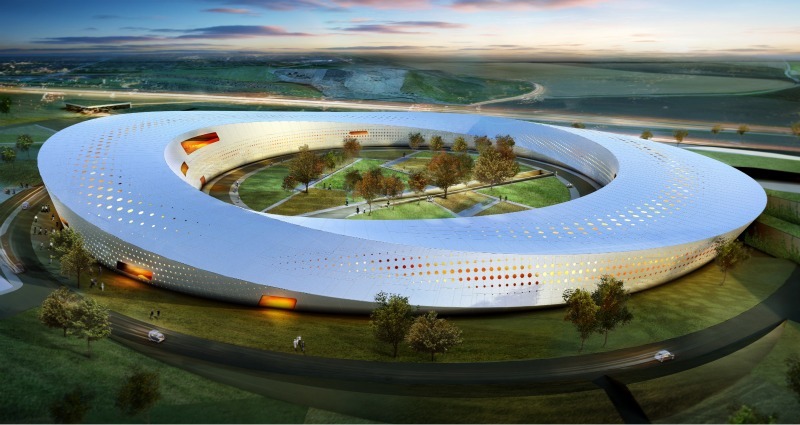 Norwegian architectural firm, Snøhetta, recently unveiled their proposal for a new cyclic particle accelerator, called the "Max IV", at the Max-Lab to be built in Lund, Sweden. The cylindrical, Möbius strip inspired national laboratory will include state of the art technology able to propel charged particles at high speeds. And apart from being a site dedicated to high-tech research, the form of the building was also developed using a high-tech modeling program focused on minimizing solar gain on the facade.